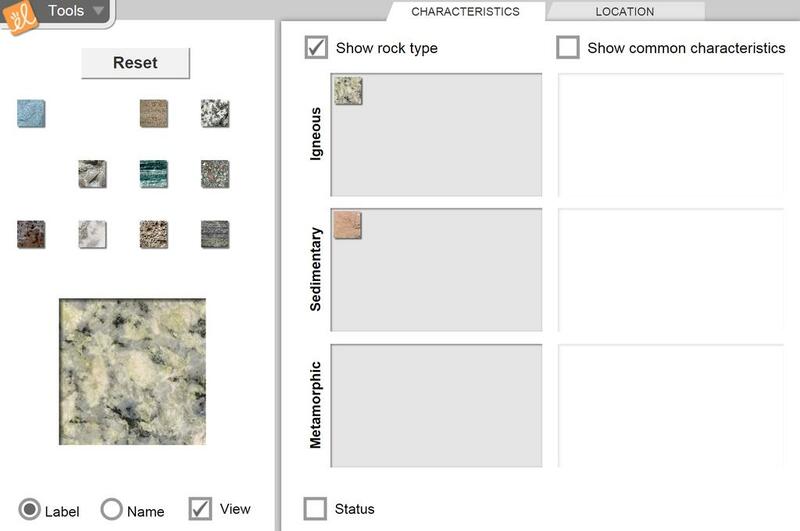 Try to classify a dozen different rock samples based on their appearance. Common characteristics of each major rock type are described. Rocks also can be classified by where they formed. Full access with a free account. I modified the Student Exploration Sheet for my inclusion students so the directions are clearer and the ... (more)worksheet is visually less cluttered. I modified the student hand out to include magma types that produce igneous rocks. I also added a little ... (more)more the the sedimentary rocks. This is a one day GIZMO! Explore the different types of rocks beforehand by summarizing formation and location.